Primarily a smoothie should be healthy. Often, however, appears the name is not protected. We also give training on nutrition. Healthy and fresh for the day. The real refreshment and the necessary vitamin B to get successfully through the day. The complete package! Our mobile designer bars (1.40 - 4.20)., Including staff and all that goes with it. Up to 2,000 smoothies, freshly prepared, are not a problem. 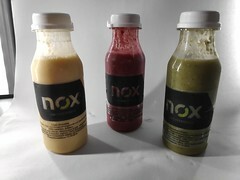 Healthy, refreshing in different (natural) colors available with private label. We deliver throughout Germany. They have a big event? A wedding, corporate event (summer party or Christmas), or want to present yourself or your products, we deliver the goodies and ideas. We take care of the branding and support you locally. Planning an event and you need a catering. We provide you with ideas for catering and can recommend also tips and suggestions for your event. Ask us! Unsere mobile Smoothiebar im Catering Einsatz! Extra no glossy pictures of the photographers. All images are 100% original, 100% authentic and 100% amateur photographs to help you see what you get. Our smoothies are no artificial ingredients. No sugar additive No flavor enhancers or syrup 100% fruit and vegetables, 100% or 100% Vegetarian Vegan anything is possible. Smoothie is not a protected name. The name is smoothie for a healthy drink from fruits or vegetables. 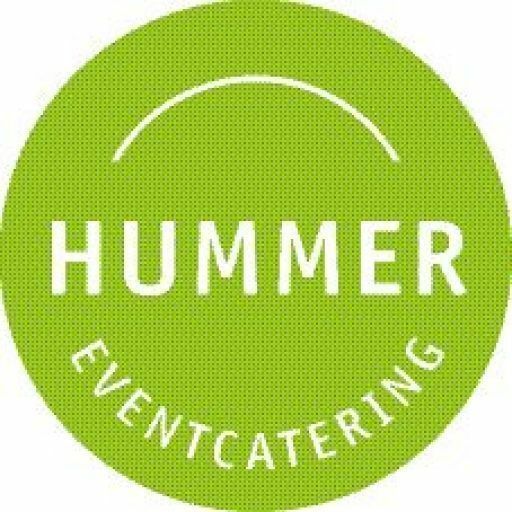 We at #HummerCatering use only 100% natural ingredients and no additives. 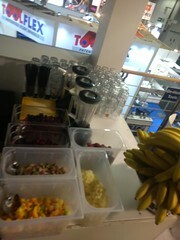 You want to offer smoothies to eg your exhibition counter and need a bartender who brings everything. 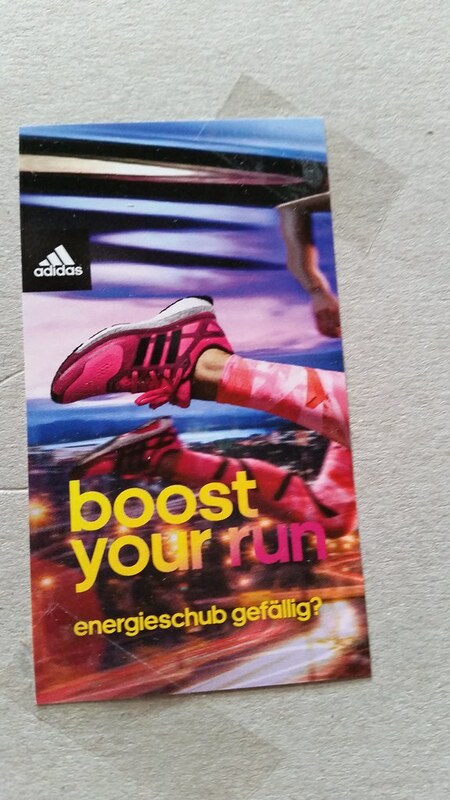 Pefekt for: #Messe, #Firmenveranstaltung, #Sommerfest, #Gesundheitstag, #test etc. Mobile Designer Smoothiebar: are available three modules a 1.40 m which can be placed from each other or in series separated. Pefekt for: #Messe, #Firmenveranstaltung, #Sommerfest, #Gesundheitstag, etc. filling smoothies in bottles fitted with its own label. 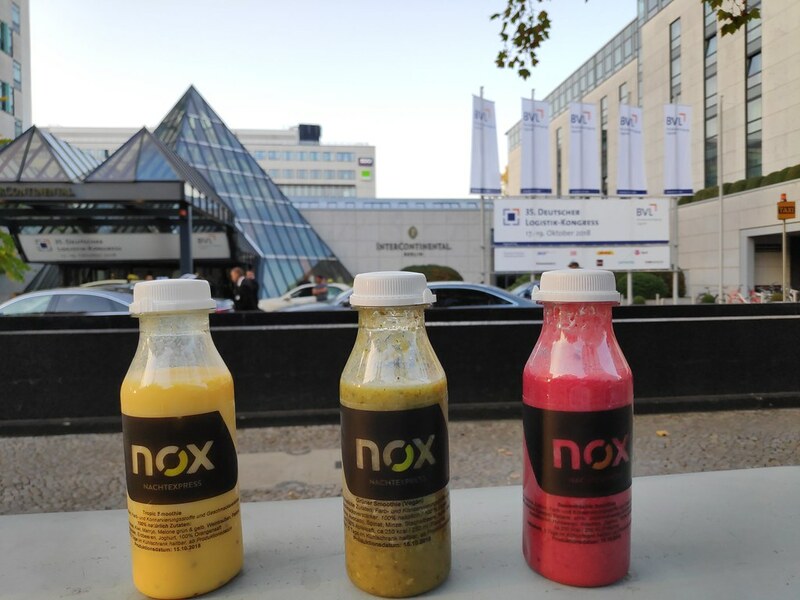 We deliver our healthy and delicious smoothies Germany. The durability in continuous cooling is 6 days. We put heart and soul in what we do. The notice also our customers and benefit from it. You can rely on the opinion of our customers! Delicious cocktails! For a celebration with close to 200 people we ordered cocktails. Everything went great, the guests were very satisfied. A fantastic Winter BBQ - a very successful party! Thanks to the team! We had booked a mobile cocktail bar for our wedding and that was a big hit. The booking in advance was super nice and simple, the cocktails were good and tasty mixed. I would always recommend !!! Excellent service! Professional planning in advance, structure and process were top. 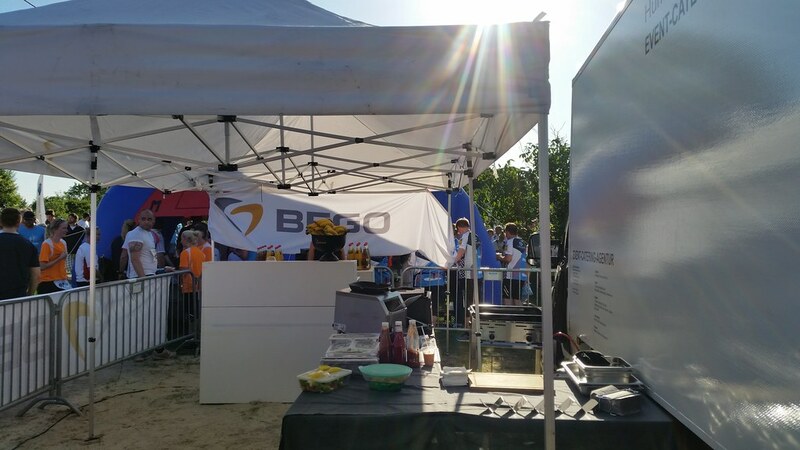 Very delicious catering with burgers grilling. excellent, fresh smoothies. good bartenders and delicious cocktails. We were completely satisfied with our corporate event. Gladly again! Very good communication. Friendly and work-willing staff. Great advice. Hammer food, it tasted awesome. Perfect execution. For the next corporate event I will book you again. Highly recommended. Merci for everything and best regards from Dusseldorf. We book now for Xten time for our company summer party. It is always a great party, everything works. you can sit back and enjoy his burger. Keep it up! To our 40th birthday we had the Burger BBQ and a small cocktail bar gemietet.Wir are thrilled and our guests are still talking about how great were the burgers and cocktails. The staff was super nice and we were able to relax and enjoy our party because we had to worry about anything. Even before the contact was very nice and uncomplicated. Many thanks to Mike and his team !!!! We recommend you continue. I have my 30th birthday celebration with about 30 guests. 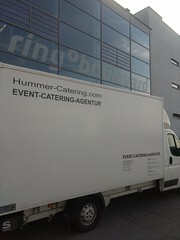 And the first time ordered a catering, very simple handling, reliable, friendly and tidy. It was thought of everything (with). The service was very nice and accommodating. The food, including burgers and sausage were fresh, delicious and beautifully presented! Thank you for everything and a next time! Keep it up! Very nice staff, good service. 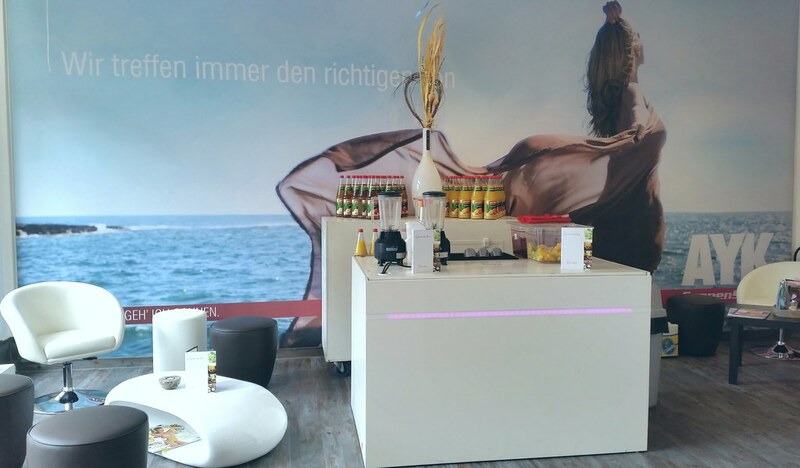 Cooperative and kundenorientiert.Speisen and beverages were highly praised by our guests. Beatcom be like to order again. One of our regular suppliers for our trade exhibitions. Many Thanks! A super catering. The team is very friendly and competent. The cocktails and the food taste great and the prices are very fair. I can Lobster Cocktail Catering recommend without reservation. 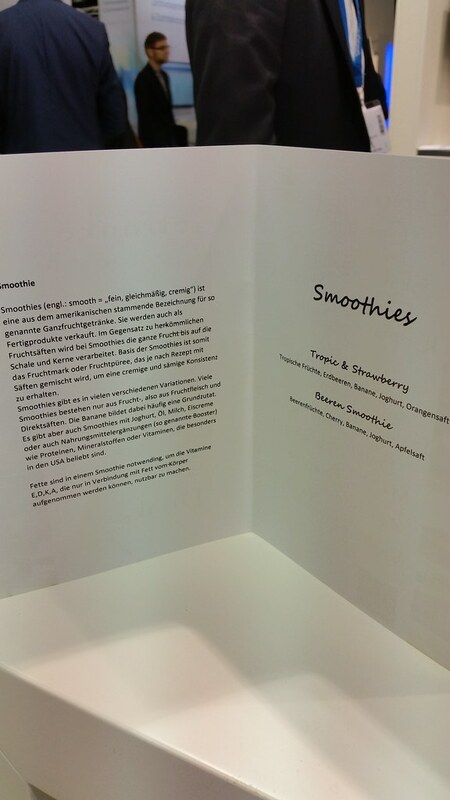 The smoothies on the eLösungstagen in Dusseldorf were supper tasty and sold like hot cakes. also give us your vote! Perfect winter BBQ - delicious and perfectly organized! Thanks for a great day! Our 5 latest articles on our site! All our references can be found on our blog page. All pictures are made by customers or employees. There are 100 community figures and not actual or purchased scenes. 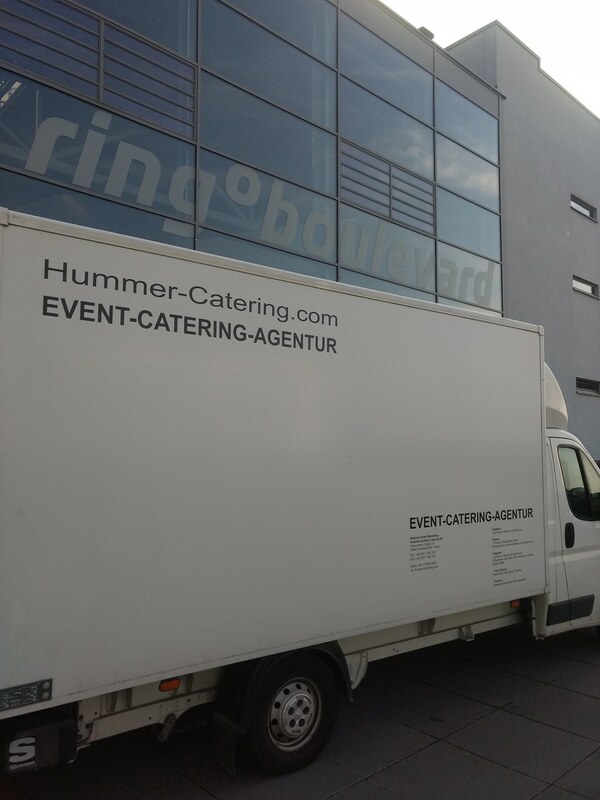 Köln Catering Service - References. Some of our work! Our company was very excited about the catering! Mike and his team offer first-class service and all-round package so you have to take care of one, as organizers about anything. The food (especially the pulled pork burger) were very tasty and nicely presented. Again any time! Very nice staff, good service. Cooperative and customer-oriented. Food and beverages were highly praised by our guests. Beatcom be like to order again. One of our regular suppliers for our trade exhibitions. Many Thanks! © 2016 Beatcom Event Marketing - Lobster Cocktail Catering UG. Wordpress Theme Created with Themler by Beatcom Event Marketing - Lobster Cocktail Catering UG.